Bias tyre is intercrossed by multilayer treads. Due to different materials, it can be divided into cotton tyre, rayon tyre, nylon tyre, polyester tyre and steel wire. 1. Cotton tyre. Cotton tread is made by cotton textile. Cotton is the earliest material used in tyre making. Due to its low intensity, multiple layers, high heating, slow heat transfer, few re-treading time and much water absorption, it has no longer been used. Even so, other materials still take cotton as standard, which has become a practice in tyre industry till now. 2. Rayon tyre. After cotton, rayon has been widely used, which firstly appeared on Paris Exhibition in 1889. Invented by a famous French physiologist, it has the same luster and feeling like silk but is more highly tensile than cotton. By its features like heat and fatigue resistance, it became main material of tyre making. Compared with the cotton tyre, rayon tyre is better in comprehensive performance, which made tyre industry stride forward again. Its disadvantage is hygroscopic so as that its strength will be reduced in wet condition. 3. Nylon tyre. Nylon was invented by an American chemist and published by his Dupont Corp. in 1938. Since publication, it has caused widely attention in the world. Some guys called it “Tougher than steel, thinner than spider silk, made by coal, air and water, but elastic and shining like protein fibre”. As tyre tread, nylon is more tensile, impact resistant, elastic, lower density, renewed and difficultly hydrophilic, but its disadvantages are thermal expanded and easily deformed. In winter, if vehicles parked outside for a long time, there will appear “flat spot”, which is caused by this, too. 4. Polyester tyre. It has the same strength with nylon, but tensile ability is better than it. So it’s widely used as the backbone of tyre among foreigners. 5. Steel tyre. It’s invented by France Michelin Tyre Corp. in 1946. It features large strength, low rolling resistance, impact and wear resistance, safety and high turned over rate. Its shortcoming is too tough to buffer comfortably. You’d better to know more tyres when selecting one correctly. For example, if you ride on a wet road, you should not choose nylon tyre. If you need more turn-over rate, you can use nylon tyre. 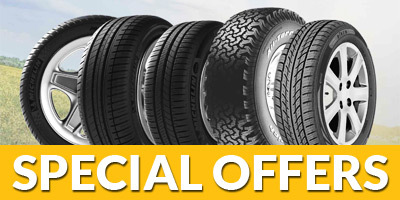 Totally, you’d better choose one suitable tyre in accordance with various conditions. Tyre inner tubes, the construction and general construction of tubeless tyres as tubeless tyres but the "tube" and the solution for one tyre, and tyre inner tubes inner tubes are independent, because the tyre inner tubes to play the "fetal brain trust" role Therefore, the combination of tyre and rim is not very close, once the tube was punctured sharp hard objects, the air will ring from the fetal mouth and the mouth of the binding site of a sudden loss of speed may slow roller off the tyre sidewall cord, scrap the whole tyre, speed fast, they often cause, such as roll-over, "speak unwarrantedly" and other serious accident. Tubeless tyres (TUBELESS), also known as vacuum tyre, some places also called hollow tyre. As the name implies, tubeless tyres is not inside the tyre inner tube. Tubeless tyres and some drivers do not understand the structure, therefore, I felt the use of tubeless tyres not sure, not practical, in fact, not without a tubeless tyre inner tube, it is only the inner tube, more scientific progress in with another material, the other methods and solution for one tyre. The inner surface of tubeless tyre with a layer of high sealing sealing film (usually used oxidation of butyl rubber), tightly attached to the tyre interior. When a piercing nails and other objects, the air leaking from the hole, the fetal membrane immediately contracted with the outflow of air to block the hole. Film and tyres together, with no leakage of the gap. In addition, only one inlet, the tyre rim to close mouth and bite, it will not leak. Therefore, when the tyre after piercing by nails and other objects, a sudden loss of air is not only slowly from the place where the assassination of leakage (because of endometrial contractions blocked the hole, so the slow air loss), can give the driver sufficient time for processing, so that neither the sudden loss of air because of an accident (speed fast, the front wheel suddenly leaks, often resulting in fatal accidents such as vehicle rollover), it will not leak due to a sudden and grinding bad tyre. We can do a test: to blow a balloon full of gas after a stab with a needle, the balloon would explode; but the same balloon affixed an adhesive plaster on the surface, blowing a full stabbed with a needle after the same, with the the loss of air, the plaster will shrink to block the hole, slowly lost air balloon will not explode. Therefore, from a security perspective, Vacuum tyre is the ideal traveling at high speed tyres. In addition, low-heat vacuum tyres, light weight, save fuel (test proved that there is the tubeless tyre tyres to save fuel than 1% to 2%), while the repair quickly and conveniently. Tubeless tyre was invented in 1930, has been more than 60 years, had tubeless tyre of the invention is considered from a security perspective. But 60 years later, we are also concerned that some drivers tubeless tyres unsafe, we can see, our tyres to disseminate knowledge is not enough. Use of tubeless tyres, more stringent requirements for the wheels, rims have been no collisions, no rust, must be leak tightness test, not a "trachoma", otherwise, the tyre rim of the mouth and bite lax, does not fully gas.